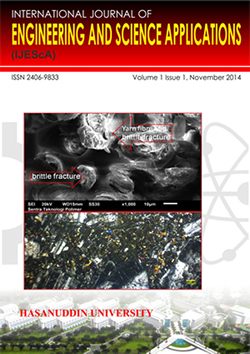 Hasanuddin Journal of Infrastructure Research (HJIR) is a peer-reviewed journal published by Graduate School, Hasanuddin University. HJIR published twice a year in February and August. This journal provides immediate open access to its content on the principle that making research freely available to the public supports a greater global exchange of knowledge. 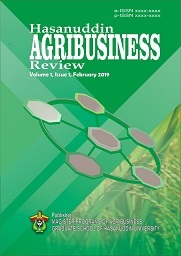 Hasanuddin Agribusiness Review (HAGREV) is a peer-reviewed journal published by Graduate School, Hasanuddin University. HAGREV published twicw a year in February and August. This journal provides immediate open access to its content on the principle that making research freely available to the public supports a greater global exchange of knowledge. Hasanuddin Biomedical Journal and Sciences (HBJS) is a peer-reviewed journal published by Graduate School, Hasanuddin University. HJBS published two times a year in Februari and August. This journal provides immediate open access to its content on the principle that making research freely available to the public supports a greater global exchange of knowledge. Hasanuddin Journal of Midwifery (HajoM) is a peer-reviewed journal published by Graduate School, Hasanuddin University twice a year in February and August. The aims of this journal to provide a venue for academicians, researcheres and practicioners for publishing the original research articles or review articles. The scope of the articles published in this journal deal with abroad range of topics, including: Maternity and Neonatal Health, Technology in Midwifery Care, Information System Maternity and Child Health, Herbal Medicine, Biology Molecular, Health Reproductive Woman. feminism, men's studies, queer studies, sexuality, political science, sociology, anthropology. 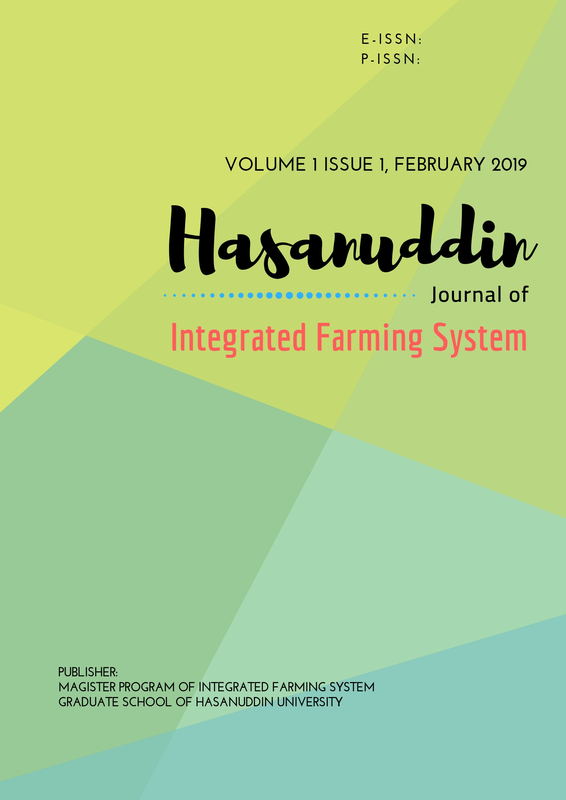 Hasanuddin Journal of Integrated Farming System (HARFAST) is a peer-reviewed journal published by Magister Program of Integrated Farming System, Graduate School of Hasanuddin University. HARFAST published twice a year in February and August. This journal provides immediate open access to its content on the principle that making research freely available to the public supports a greater global exchange of knowledge. The aim of this journal is to provide a venue for academicians, researchers, and practitioners for publishing the original research articles or reviews articles. 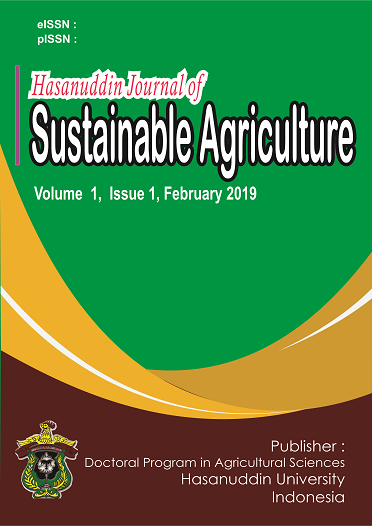 The scope of the articles published in this journal deal with a broad range of topics, including Integrated Farming System and Policy and Planning of Agriculture Development. Hasanuddin Journal of Transportation (HJT) is a peer-reviewed journal published by...., Hasanuddin University. HJT published twice a year in February and August. This journal provides immediate open access to its content on the principle that making research freely available to the public supports a greater global exchange of knowledge. The aims of the journal is to provide a venue for academicians, researcher and practitioners for publishing the original research articles of review articles. 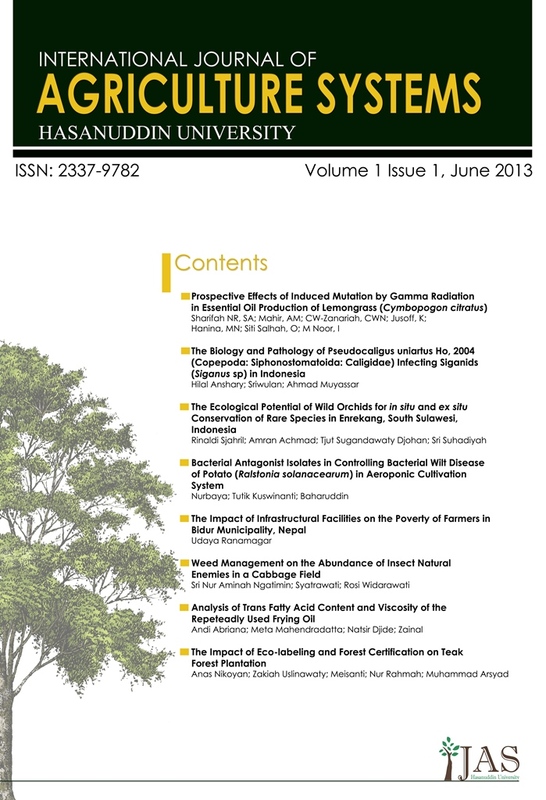 Hasanuddin Tropical Environment (HATRON) is a peer-reviewed journal published by Management of The Environment, Graduate School , Hasanuddin University, HATRON published twice a year in February and August. This journal provides immediate open access to its content on the principle thet making research freely available to the public supports a greater global exchange of knowledge. Journal of Asian Rural Studies (J. Asian Rural Stud. - JARS) is a peer-reviewed journal published by Hasanuddin University (UNHAS) in collaboration with Asian Rural Sociology Association (ARSA) twice a year in January and July. This journal is an international, academic, citation indexed and blind peer reviewed which covers original research articles, short notes and communications, reviews (including book), concepts, commentaries, and letters on a diverse topic related to rural studies in Asia. The aim of this journal is to provide a venue for academicians, researchers and practitioners to share/discuss theories, views, research results, on issues related to social. economics, culture, communication, technology, ecology, administration and power relation in rural of Asia.